We've upgraded our printing capabilities for the OOSA Print Shop for 2017!! With our new Canon imagePROGRAF PRO-2000, we'll now be able to print images up to 24" wide. This will give us opportunities to make some really special and unique giclee prints that all of the artists in the Print Shop are really excited about. Of course, we'll still be offering the 8.5x11, 11x17 and 13x19 print sizes that you're used to getting from us, as well. Look for our first foray into the larger sizes in January. The Print Shop will be transitioning over to the new printer during the next few weeks. As a result, we won't be printing any new prints until after January 1st. The shop will still be open for purchases, just be aware some orders may be delayed. And don't forget that all of Chris Visions' prints will be wiped clean at the end of the year in order to make room for new work planned for the new year. 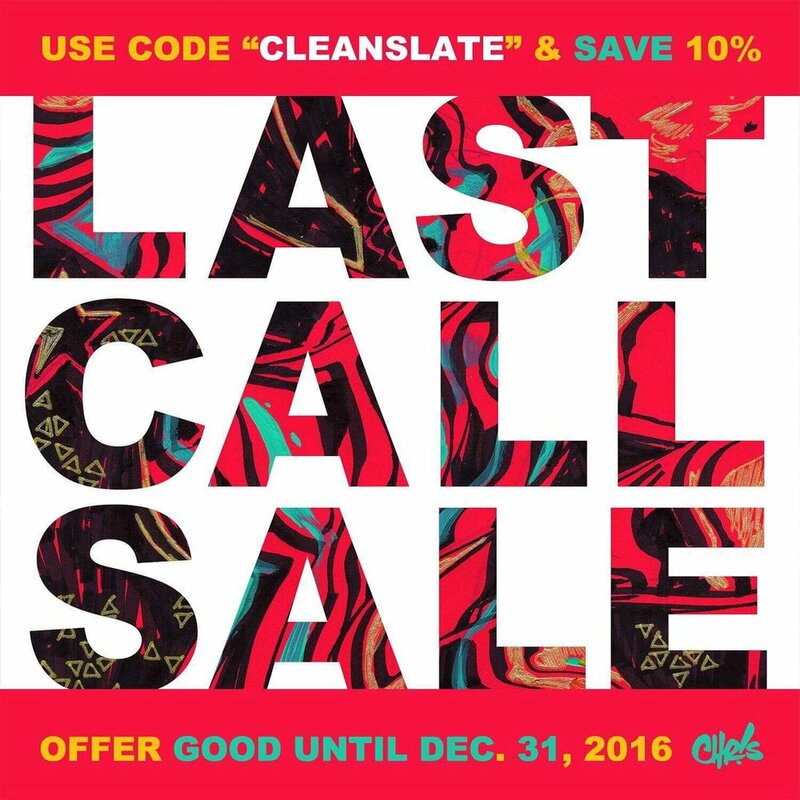 Use the code "CLEAN SLATE" at checkout to get 10% off of all orders of $50 or more of Chris' prints. Click below to see what's available.